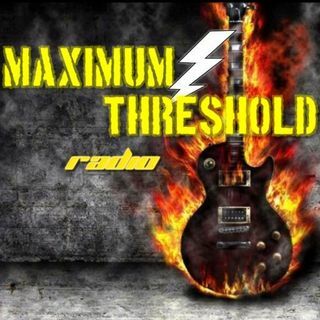 Maximum Threshold Radio Show is a hard rock/metal/Comedy and Entertainment program dedicated to presenting up and coming hard rock bands, current successful bands as well as brings you some of the biggest names in the music industry every week for interviews. Everything from Rock Stars to Comedians to Actors and others. MT Site also provides an Entertainment twist which covers numerous avenues. From Movies, Concerts, Sporting Events MT will cover it and bring it to you. MT has recently ... See More developed MT TV to bring you a visual version of entertainment.